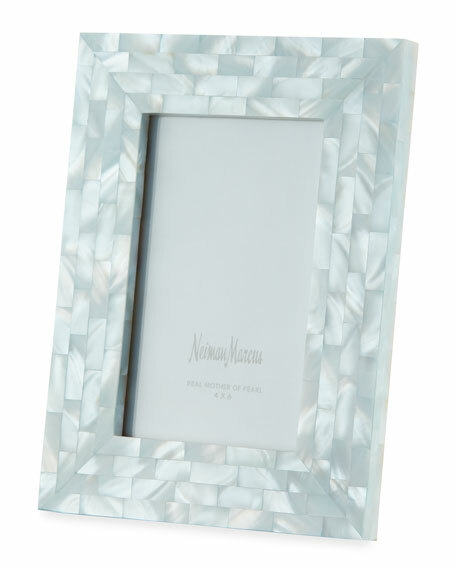 The Jws Collections Mother-of-Pearl Picture Frame, Blue, 4" x 6"
The Jws CollectionsMother-of-Pearl Picture Frame, Blue, 4" x 6"
The Jws Collections mother of pearl shell frame. The shells are collected and sent to a village in Thailand to be cut by hand. From there the pieces are sent to Bangkok where they are assembled into a frame.